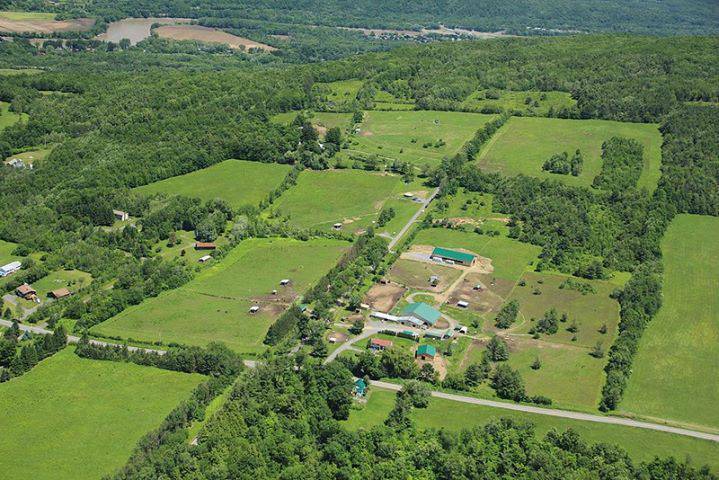 Peaceful Acres is a beautiful 145 +/- acre farm located just 6 miles off the NY State Thruway, 10 minutes from Schenectady, 30 minutes from Albany and 40 minutes from Saratoga Springs. 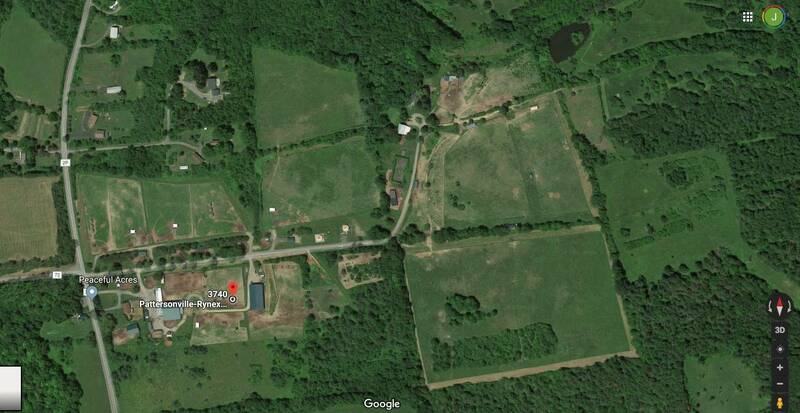 The farm is an ideal equine boarding, lesson and training facility, retreat center and has endless agricultural possibilities, including hay, grazing, agricultural farming and hemp. The farm is currently operated as an equine sanctuary and retreat center where guests enjoy equine guided retreats, hiking, concerts, weddings, team building, trail rides, and other nature and health and wellness based activities. The farm consists of 3 indoor arenas, build in 2008 and 2012, 2 - 30 foot Colorado Yurts, a 3 stall bathhouse, a beautiful hideaway cabin, 6 barns, 18+ run in shelters ranging in size from 12 x 12 - 12 x 40, a 26 x 80 pavilion/barn, two homes including an in-law apartment and water to all paddocks and pastures, electric to most paddocks and pastures for ease of equine care. Home 1: This home is a lovely 4 bedroom, 2 bath with in-law apartment. Hardwood floors throughout, renovated with new windows, siding, kitchen and bath in 2008. Central heat, AC and standby generator. This home is currently used as a guest-retreat house and is income producing. Home 2: This home was built in the 1860s and has all the charm of an old country home, including wide plank hardwood floors. It was renovated in 2010 with an added master bedroom, office, 12 x 16 walk in closet and large bathroom. The kitchen was updated in 2011 with new cabinets and a new front porch was built in 2017, a new high efficiency oil furnace and hot water tank were added in 2015. 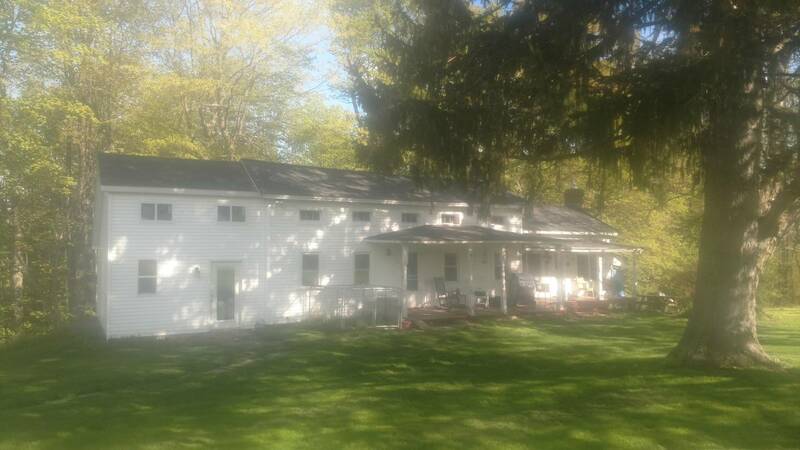 This 3 bedroom, 2 bath home is private and secluded setting on the upper farm consisting of 100 + acres of beautiful land with spectacular views. Bring your horses and you will never want to leave home. Added Amenities: If you love Yurts like we do, the farm offers 2 beautiful 30 foot yurts, manufactured by the Colorado Yurt Company. 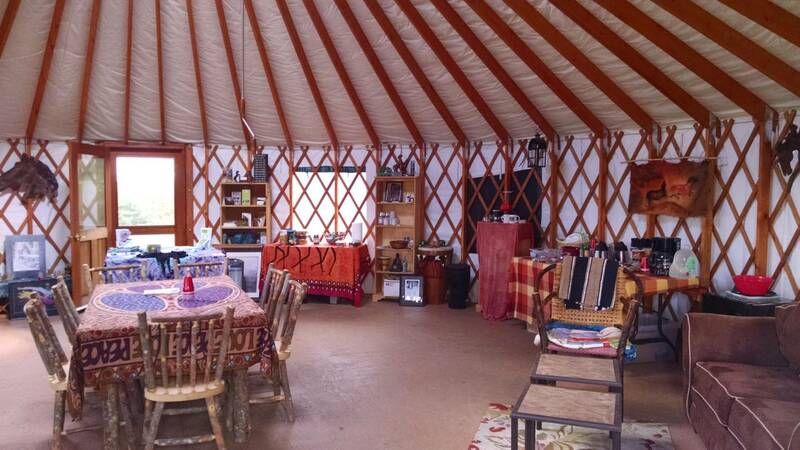 The yurts are ideal for offering retreat programs, yoga, weddings or community/family gatherings. 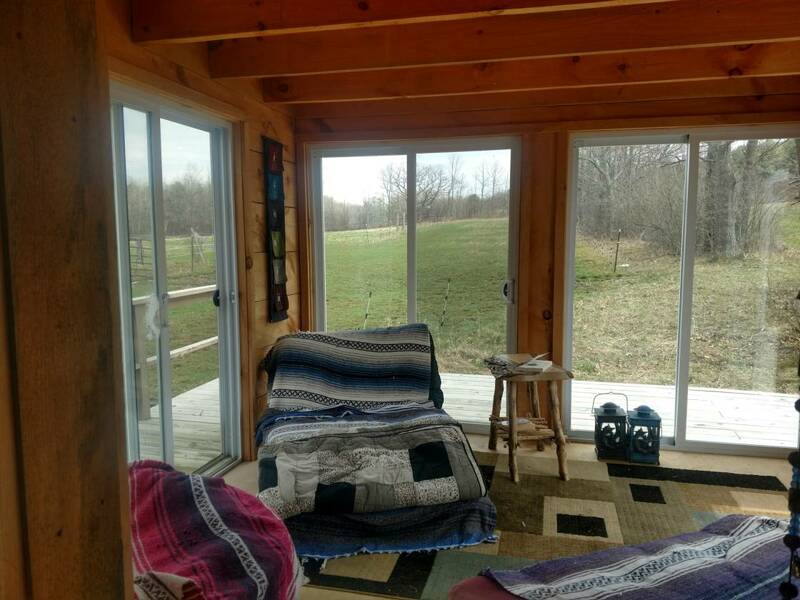 The Nest and HighPoint Cabin offer a nature based getaway with absolutely stunning views and horse pastures and hiking/riding trails surround the cabins. A Tennis court is also on the property, but will require TLC. The farm offers 145 +/- acres with frost - free water hydrants and electric to mostly every pasture, paddock and run in shelter. With 2 wells and an abundance of water, there is no shortage of fresh water for your horses or agricultural use. The farm is fenced with Electrobraid electric rope allowing the new owners to position fencing as needed. There is nothing quite like Peaceful Acres for the horses who call it home-sweet home. Multiple barns and run in shelters offer stabling for over 90 horses and in the summer months, the farm has over 80 acres of pasture land for grazing. The indoor arenas offer a riding, lesson and training space; 1) 60 x 80 with barn attached with 20 stalls, 2) 60 x 120 indoor arena also has ample hay storage, 3) 40 x 60 small indoor arena for ground work or stabling. The indoor arenas were built with window walls allowing for natural light to brighten the buildings.